It was peaceful and lovely all the way until we are settled in, for the evening and she decides she wants to go swimming in the pool. 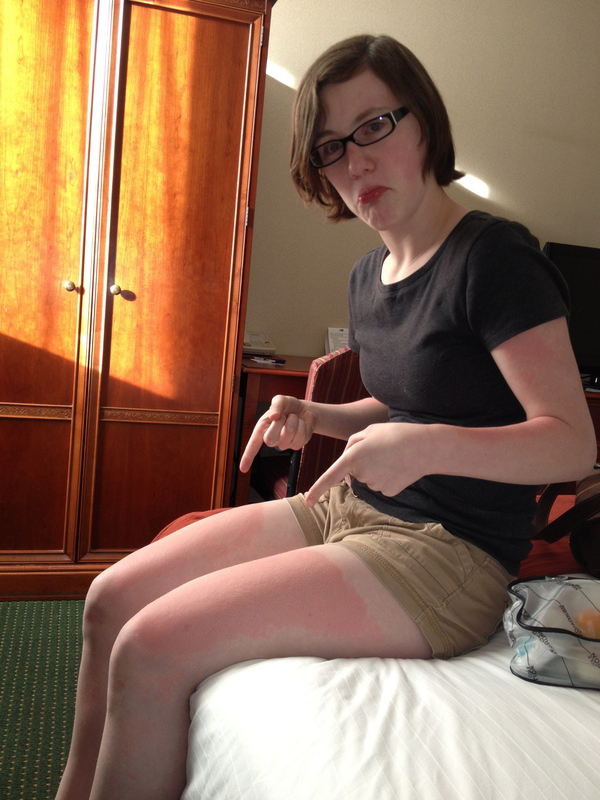 So we ask her, Genny, why didn’t you put sunscreen on your legs? This continued until I finally pointed out that I did sunscreen her face and neck and they weren’t even a faint sheen of pink. 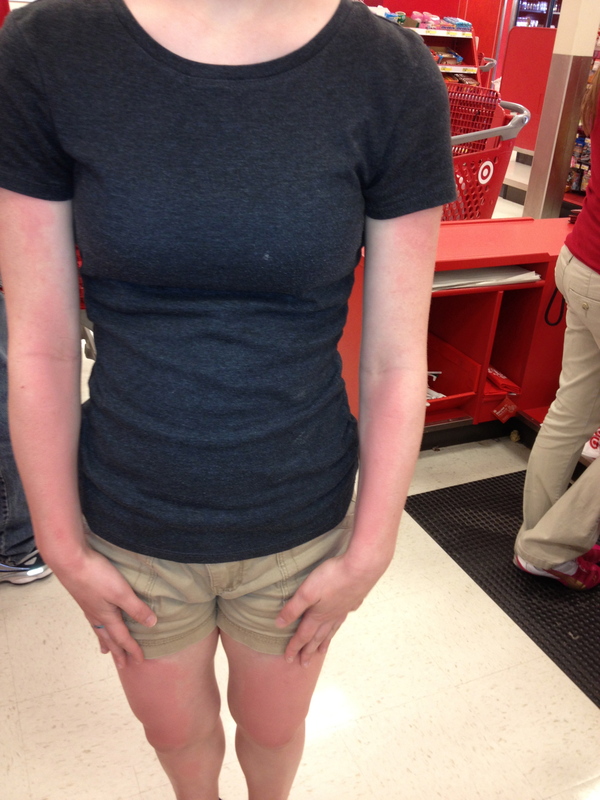 I sunscreened her arms and yet she swam, so while she still burned, it was no where near as bad as legs, thus proving that she indeed did NOT sunscreen her legs on the boat, three times. After that she was silent, but miserable.